Among these reserved lands were those on which were built the lighthouses at Malabrigo Point in Lobo and Cape Santiago in Calatagan. Excerpts of the executive order are provided below, with only those relevant to Batangas included. Readers and researchers who wish to follow through to the original document may click the link to it provided under the Notes and references section below. 13. 13. Reservation for Point Santiago Light Station Island of Luzon, Province of Batangas. An area of land surrounding the light-house and inclosed metes and bounds as follows: Beginning at a point south eighty three degrees and twenty-four minutes east forty meters from the center of the existing light tower, thence north five degrees three minutes east fifteen meters, thence north fifteen minutes fifty-eight meters, thence south sixty-four degrees thirty-six minutes west one hundred and twenty and five-tenths meters to the shore line, thence southerly and easterly following said shore line to the mouth of the canyon or gully southeast of the light station, thence along the axis of said canyon orgully to the point of beginning, all as shown more particularly on a map filed in the office of the light-house engineer, the above bearings being magnetic in the year eighteen hundred and ninety-three. 14. 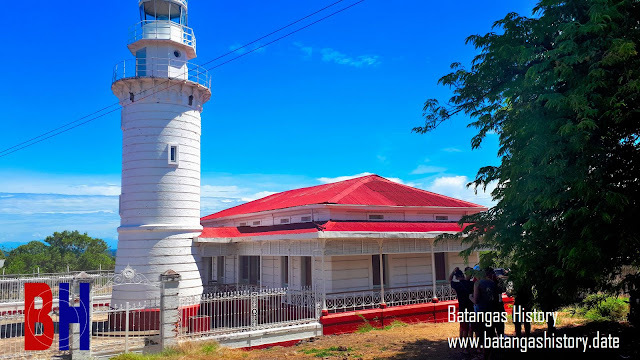 Reservation for Point Malabrigo Light Station, Island of Luzon, Province of Batangas. An area of one hundred meters' radius described about the center of the present light tower, and the right of way by road from the tower to the landing place and to the nearest public highway. WM. H. TAFT, Civil Governor. 1 “Executive Orders Nos 1-109 (1903),” online at the Internet Archive.